Most people are familiar with the term ultrasound. It is an exam that uses sound waves to make a picture of internal organs. When people get an ultrasound of their body parts, it is usually to look for something wrong like clogged arteries. It is also used to look at the development of the fetus/baby when you are pregnant. Ultrasound can be a total scan or a limited exam. At Journey Clinic, we offer a limited exam to those with a positive pregnancy test. A total scan looks at the whole fetus, uterus, and cervix for possible problems. A limited exam is only looking for specific things. The first thing we are looking for is where the baby is growing and developing. This is important in case the pregnancy is an ectopic (outside the uterus) pregnancy. An ectopic pregnancy (or tubal pregnancy) is when the fetus embeds outside of the uterus; usually, in the Fallopian tube. Since this type of pregnancy may be life-threatening, it’s important to have an ultrasound. Second, a limited ultrasound exam determines the approximate date of the pregnancy. Some women do not track or remember when their last period started (see our article on period trackers, as these can be useful). The first day of your last period is generally how a due date is estimated. With this exam, we can measure how big the developing baby is and provide an estimated due date. Finally, a limited ultrasound exam looks for evidence of life: the fetal heartbeat. By using this technology, a baby’s heartbeat can be located and counted. This establishes that the pregnancy is viable (living). What Makes an Ultrasound Limited? Limited ultrasounds are just that, limited. These exams do not look for possible problems with the fetus, nor look for evidence of whether it is a boy or a girl. 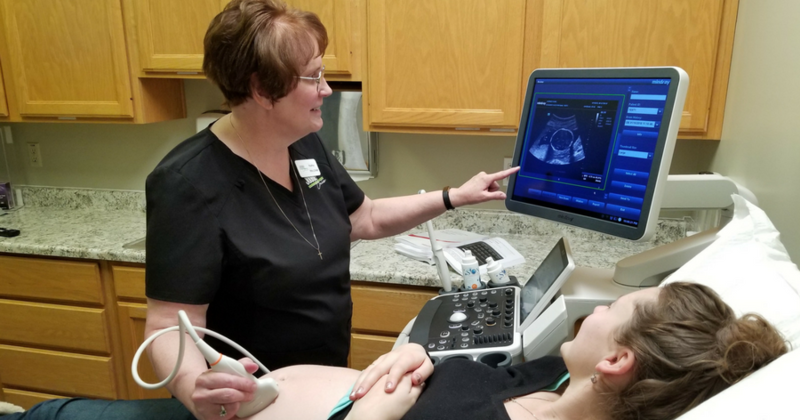 Limited ultrasounds are important to provide information for the woman who just learned she is pregnant. Knowing where the pregnancy is located, the gestational age, and whether the pregnancy is viable will provide a woman with very important facts to take into consideration as she considers her pregnancy options. Starting the first week in May, limited ultrasound exams will be available right here at Journey Clinic. Our patients will have important information about their pregnancy. In return, this will enable them to make the best choice.